Available in eight distinct colors, finding a Frontier to fit your style has never been easier. The 2017 Nissan Frontier isn’t just aesthetically pleasing however, it’s rugged design enables it to handle anything the road may throw its way. The 2017 Frontier also has privacy glass on the rear window to keep the inside cool during the warm California summers. 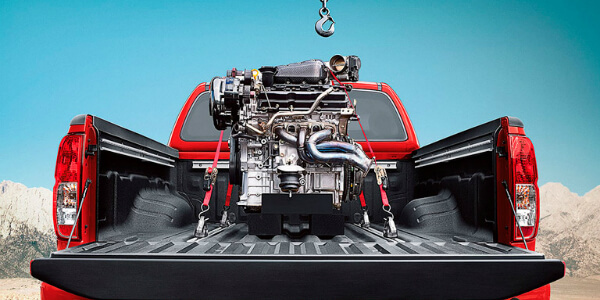 With its full-length boxed-ladder frame, the 2017 Nissan Frontier was built to give you the best performance you could ask for. Even the bed of the 2017 Frontier was built with performance in mind. The first-in-class Utili-track® system has channels on the bed’s floor, walls, and header. Simply move around the tough aluminum-alloy cleats anywhere along the channels to keep even the most awkward shaped loads from shifting around. The bed even comes with a light to help you keep an eye on everything back there during any trips home from the beach. With the available hands-free phone system, keeping connected to your friends and family has never been easier or safer. 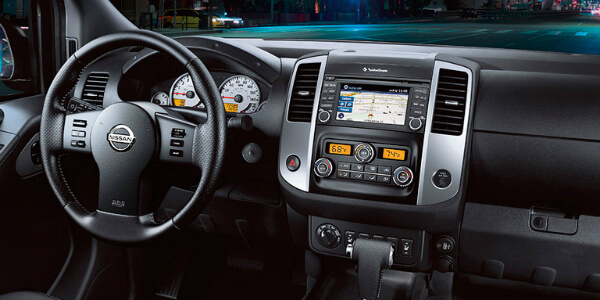 Simply press a button on the right side of the steering wheel, and you can make calls and even send a text message by just telling your Frontier what to type. When four-wheel drive isn’t enough to get the job done, the PRO-4X® delivers. The PRO-4X offers the 2017 Frontier’s best off-road experience. All you need to do is flip a switch to lock the rear differential and equal power will be distributed to the rear wheel increasing traction and moving your truck forward. The available NissanConnect℠ syncs your phone with the touchscreen in your 2017 Frontier. Bring your favorite music and apps with you everywhere you go without having to take your eyes off the road to look at your phone screen with the 2017 Nissan Frontier. There are many other features that make the 2017 Nissan Frontier the best-equipped truck in its class, but we’ll keep our list short and sweet for you. If you’re interested in learning more about the 2017 Nissan Frontier, stop by Antelope Valley Nissan where our friendly staff will be more than happy to answer any questions that you may have. We’ll even set you up with a test drive and help you take the first steps towards owning a 2017 Nissan Frontier.